I found myself yet again at the Port Dickson Triathlon swim start. Something I’ve been doing every year without a miss since 2007. I arrived in Port Dickson (PD) on Saturday late noon with my family. I was very excited to be taking the little one for her 1st triathlon outing! 1st triathlon as a real momma too ! Preparation for this event was pretty much low key. I was on a program (a 6 weeks OD program) but found it hard to commit especially the weekdays sessions. Might sound like a tri-myth but you know its going to be a good day when you get to do your ‘business’ early in the morning. So hey, its gonna be a good day ! Cycled from the hotel to the event site by myself- around 6km. Quickly placed my stuff and bicycle at the transition area, and off for body marking. #6043, that’s me ! I was excited as this is my come back tri after PD Tri last year (like I said I come here every year !) and this time with my family coming to support me. Hubby was still at the hotel waiting for the little one to wake up. She still needs to mandi and take breakfast. She just started with chicken (baby just turned 8 months last week alhamdulillah !). Okay, back to my swim paragraph *sorry tersasar topic kejap*.. Tested the water .. it was nice and warm! haha.. Did a few adjustments to ensure the new RM59 goggles doesn’t sip in sea water. Bumped into Stupe, Aileen, Lesley, Siok Bee, Kenny, Boss (Lim Led Ye), Azizul Hakimi, Abe, Ikhwan, Nadia and a few others. There were about 7 waves (mine the 6th) . Semangat dan excited punya pasal I was actually at the front next to IM Theryn Tham -my tri buddy from Singapore 🙂 First raced with her at A Famosa Tri 2008. I asked Theryn what’s her next event, any Ironman and guess what she said ?!! ‘I just came back from an Ironman 6 days ago. Don’t know what I am doing.’ LIke wwhooaa..really ?! This must be a recovery tri for her then. Anyways, respect and salute to you Theryn. Good to see these old (but young at heart) faces over and over again. Almost didn’t recognise Don Khor (ex Powerbar athlete too). He lost a bit of weight (and tone). Busy with work that’s what he said. The water was pretty calm and we hit the water full of energy. I always mix my stroke just to keep my mind focused on the swim. Not that my swim is fast (its supa slow FYA). Just had to ensure I keep on moving ! I didn’t threw up in the water this year, so that was good. Not much of drama in the water this year also. Had a few rounds of sea water unintentionally hahhaah..LOL ! Navigation was okay so saved time and energy there. The swim back also was fun as I did not feel tired at all thanks to the high arm movement (up and over). I did not put extra stress on my arm this time by doing the bent-arm freestyle. Straight arm free style would be a bit tiring for these weak arms (that the distance is 1.6km!). Last year my time was around 53mins yo ! Tahun ni dalam 41-42 mins. (35 mins in 2011 but sebetulnya tidak boleh nak compare timing this year compared to last as the distance this year is different from last year). Tarik nafas.. I need a new year tri-resolution ! T1; the transition between swim and bike.. This year CCS (Chan Chee Seng) decided to put a 1km beach run before T1 ! I think I did an 8 minute just on the sands and lost my RM59 goggles trying to place my steps on the sands. Here’s a tip when running on sand.. step on the places where there are foot step marks.This saves some energy to push off (take off) as oppose landing on a fresh mound of sand..like wise when running on trails. We tend to step on more solid areas rather than softer ground which are harder to push off after having sunk a few centimeters deep even if it is just a few seconds. The T1 proper was at the transition area. I’ve arranged earlier my bike shoes (clipped on the bike), helmet and race belt. Didn’t take me long to push the bike out of T1. Only thing missing was the rubber band to keep the cycling shoes in place during bike out ! The bike….was more than I anticipated. It was soooo enjoyable ! Sapa kaki kayuh, kaki bukit and lovessssss the technical game of managing those gears will drool over the PD bike course. A mark up to 43.5km as oppose to the standard 40km bike- no complaints there. I noticed 2-3 cyclists at the side of the road. Tyre puncture, and 1-2 accidents. Saw a guy sitting down with blood on his knee and arm. Poor dude. Hope he was not seriously injured. I am not too sure of my timing but I really wished mr CCS would put more timing mats so that we can have a more accurate timing for our swim bike run (and beach run legs) compared to timing it together with either T1 or T2. Kalau zaman takde sportwatch dulu, ikut time pada digital foto je.heehee.. Finished the bike with a smiling face. The 9.5km run course was similar to last year’s course minus the short ‘wooden bridge’ run. I asked that during the Q&A at the race briefing the night before. No need to do bridge run uncle Chan said. As usual PD is hot and blazing! Welcome to Malaysia in case you have forgotten. The temperature ranged between 25 – 31 degree celcius (according to the weather forecast). But this is nothing compared to Sabah Adventure Challenge (SAC) a couple years back ! The first two kilometer was on tarmac, followed by the off road section before we turned out again before the batu 14 beach stretch (before Petronas) and turn in again before the public car park near Avillion Cove hotel. It was an off road from this point until about 1-2 km before the finish line.Again, I tried avoiding ‘soft’ landing ground/sand to optimise my energy output. I was not tired at this point. No cramps, and happy ! Here’s a secret not many triathletes wanna share with you.. they pee themselves during their event.. hahah.. even duathletes..Let’s try not kid ourselves and only talk about the glamour part of multi-discipline sports.. I wanna suggest/share some pee-during tri tips here. Based on experienced, you gotta go when you gotta go..whether on air, in the sea or on land. Why ? First, its not good to hold urine/or the other item which comes out the other end. Medically, this adds strain to the muscles and nerves ‘holding’ it. Secondly, your nervous system will respond more slowly to inputs from the full bladder if you ‘train’ it to hold your pee longer. Thirdly, the longer you contain your pee, the higher the risk for infection..what..really ? Well, apparently yes in case you didn’t know ! Read here . Whether that involves peeing wherever/whenever, or rushing to the nearest public/private washroom, behind the tree/behind that hill or…jumping into the drain in front of the housing near along the housing area in Manjung!, go when you gotta go ! Pictured my hubby and daughter clearly, especially on the last 2km. missJeweLz bawak phone masa bike and run. Had to as I’ve agreed that I will call him to update where I am so that he can schedule his time leaving the hotel and to wait for me at the last 100meters to finish. I didn’t want the baby to wait in the heat for too long. Babies cannot regulate their body temperature as well like the adults do. It didn’t take me long to spot them (after the shouting match over the phone (it was so noisy) to locate them. Hahaha.. so there they were, just before the security post before the turn into the finishing shoot. The initial plan was to push the little one in the stroller..but naahh mummy thought it was more fun to run with baby in her arms..ha, ambil…an 8 kg ++ on 1 arm at the last 100m I had to switch her to the other arm. ‘Kesian budak kecik tu’ said Razani my Ironman sifu..LOL.. ! I am sure she couldn’t grasp what thy heckkk is going on, but hey baby you will one day ! Mummy and daddy loves you. My patience and endurance trainer is my daughter FYI. 🙂 so, thanks missAquila! Thanks to hubby for patiently waiting for me. I finished in the 3hr 35mins-3hr 40mins region..or ++. Just have to wait for the official results to be out. What I am more interested in is actually my timing on the bike for a 43.5km bike. I’ve got useful pointers and training on hilly routes and I think I really felt it on the bike. #qualityVSquantity-ly speaking ! Sesiapa nak order, let me know. I can help order in bulk. 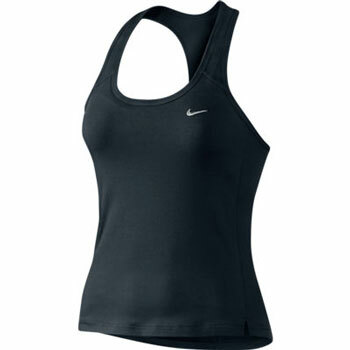 Its light, dri fit and sportingly versatile ! This is from Nike. You can get similar from other brands/non brands. It’s dark in colour and padded. Worked well with what I wore it. See below. I came across the men version of this at Stadium in KLCC (next to Kinokuniya). This was my best bet. Quite difficult to find a long sleeve tri top/suit. None in 2XU, and nothing online nearest to my criteria online. Reebok’s Cross fit light compression. That’s the top I was wearing at PD ! Waheeda, I didn’t change ! I think this is a well known brand in Taiwan. Quality and hi-tech sports apparel. Love it. Thanks to Razani for posting the pants to me. 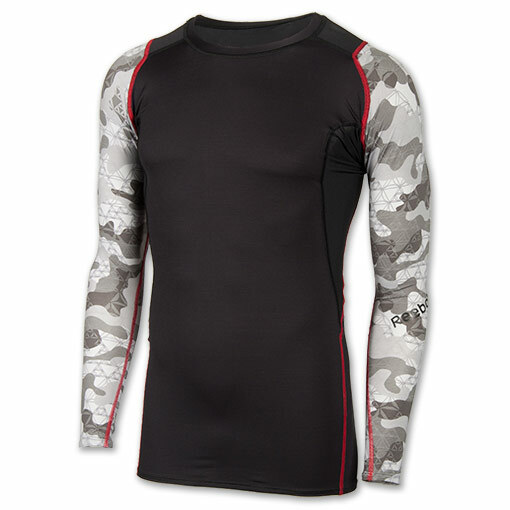 Its padded, and suitable for a triathlon/duathlon event. Sesiapa nak order, meh sini ! oh lookey, i so like this shot. thanks mr Cameraman !! She is growing up fast i had to switch from my right to the left arm carrying her ! Fairul being introduced my little girl. MC Hammer said it.. 2Legit2Quit. Oh look, Pat Ee is a natural. I had little idea ! Little one normally sleeps throughout the night. Night before the PD Tri she decided to wake up and keep me company (and awake!) hehe. luv u munchaquila. Next Colleague’s son missing. Need your kindness to spread this message via your blogs/FB pages. Welcome back to triathlon! You look great and your little princess is adorable! Going pretty good! I had my baby girl in may and it has been amazing. Also did a tri last month to celebrate habis confinement haha. Must be quite uneasy for woman to pee outdoor during this kind of event. Especially uncomfortable if the event in the middle of crowded places or in the city. So how do you clean yourself after peeing? Do you wash instantly or wait for finishing line? Get ready some clean water to wash up – say near the water station ! unless you have a bottle of water in hand. Whether you’re a fast or slow racers taking part in any sports events, stopping the bladder or gut to expel is not the wisest option. Energy will be drained just for the muscles to control the sphincter. Further still once the ‘dam’ has broke, its hard to control or stop the urination. it just goes on an on until its ‘relieved’. Seronoknya baca ur race report. Congrats!!! My husband and i were in PD Tri jugak, but he was the one racing his 1st triathlon event. aaaa sebenarnya ada banyak nak tanya niii esp about the training plan. hi. thank you for the update .. especially on the attire which i really look forward haha. and the idea of the hijab .. i thought u change swim cap to the hijab (my concers in more on changing during T1) haha .. my friend (nannoor above) and I now have some ideas on what to wear .. she even googled the capster (thanks nannoor). semua org yg ada anak mesti nak bawak anak thru the finishing line, that is so sweetttttt 🙂 and bring the phone (demi anak haha which i dont think a serious triathlete will do). hope some day i can do it too 🙂 see you on malakoff! Salam.. Hi! I’m from the Philippines. I am aspiring to be a triathlete.. I’m from a family of triathletes and I’m trying to develop myself into becoming one. The only struggle I have is the right apparel for triathlon. I can’t seem to find anything suitable for a triathlon race that would give me maximum coverage.. Something that would be suitable also for our hot weather. I only saw some swimwears on the internet but then my worry is if it would be applicable for a tri race. I need some advice.. Thank you sooo much..